President Muhammadu Buhari on Thursday visited Niger State, where he inaugurated a N50 billion sugar estate. The Sunti Golden Sugar Estate Limited, which is a subsidiary of the Flour Mills of Nigeria has a capacity of producing 100,000 tons of raw sugar annually. 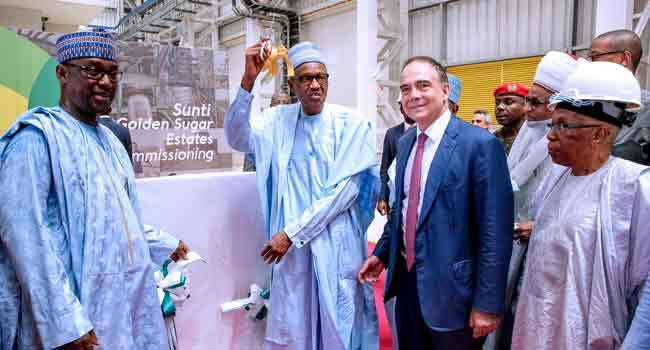 At the inauguration ceremony, President Buhari said that with the kind of investment made by Flour Mills, the government’s vision of attaining self-sufficiency in agriculture is well within sight. President Buhari promised that his administration would provide necessary support for businesses to strengthen investments in critical sectors such as agriculture, power, and solid minerals among others. 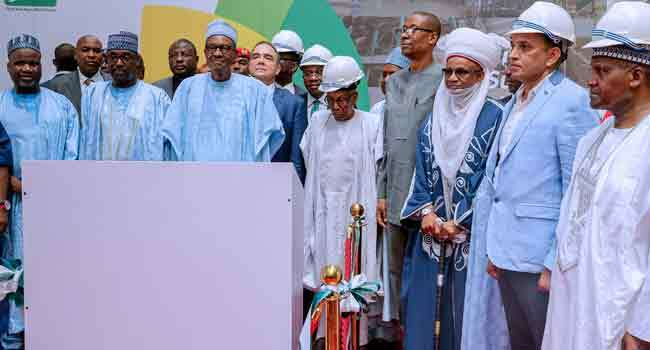 Beyond agriculture, President Buhari said the Federal Government remains committed to tackling corruption and improving the security of lives and property in the country. The President, who inaugurated the Presidential Enabling Business Environment Council (PEBEC) in July 2016 with the aim of improving the business environment in the country, said his administration would also improve the country’s infrastructure. 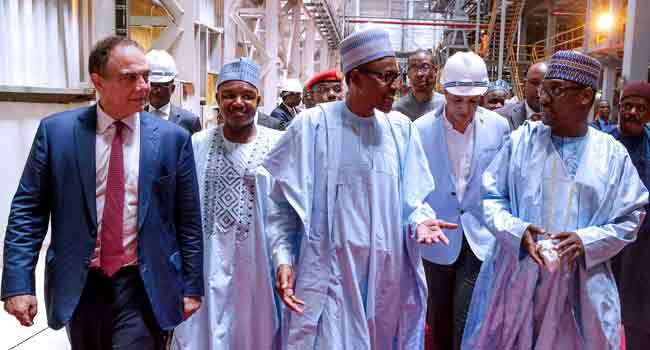 Specifically, President Buhari said his administration would give attention to major infrastructure including roads and rail construction as well as and power generation. The event was also attended by the Niger State Governor, Mr. Abubakar Bello, and the Chairman of Flour Mills of Nigeria Plc (FMN), Mr. John Coumantaros. The construction of the sugar estate costs more than N50billion naira, and it has the capacity to produce 100,000 metric tons of sugar annually. 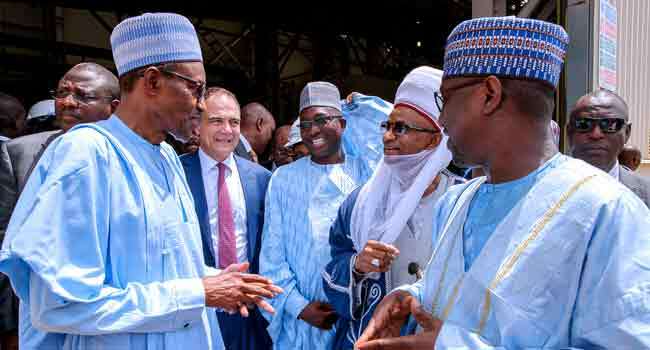 President Buhari has been on a tour of some troubled states in the country since last week especially states affected by violence and killings. He is expected to visit Zamfara and Rivers States soon. President Buhari with Governor Bello, Etsu Nupe Yahya Abubakar, Niger State Deputy Governor Mohammed Ketsu, and Mr John Coumantaros, shortly after commissioning Sunti Golden Sugar Estate in Niger State on March 15, 2018. President Buhari with Governor Bello, Kebbi State Governor Atiku Bagudu, and Mr John Coumantaros, among others as he commissions Sunti Golden Sugar Estate in Niger State on March 15, 2018.